Neo-classical, geometrical design with a new understanding of reception. Valencia Lounge Hostel is the city’s first 5 Star Hostel. The team reinvented the understanding of a receptionist‘s work and included smart technology to achieve a deeper hostel experience. A visit by Hostelgeeks. How to book Valencia Lounge Hostel? You just found our #1 recommendation for best hostels in Valencia, Spain. 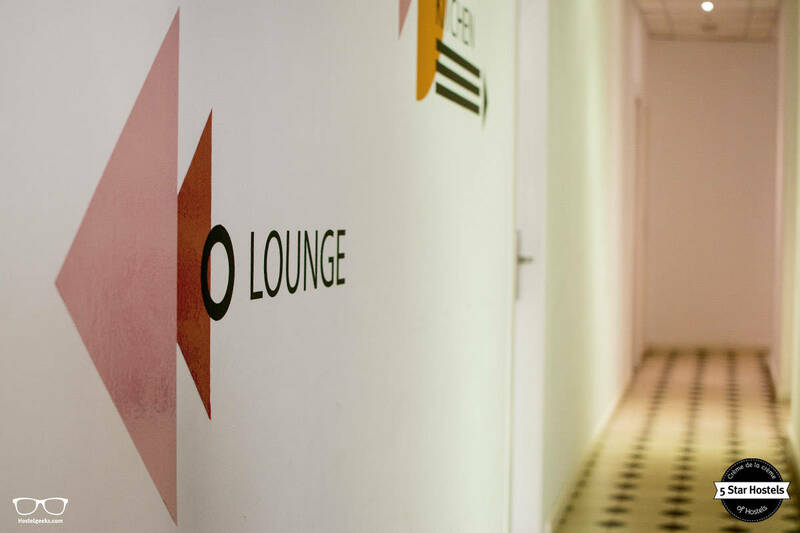 Genuinely, Valencia Lounge Hostel is the accommodation we recommend to our friends, family, and to you! You will like it! Planning to stay at Valencia Lounge Hostel? Please use the links provided above. The Valencia Lounge Hostel is located right in the heart of the city and old town. The main market “Mercado Central“ is right around the corner plus it’s only a few steps away from bars, cafés and restaurants. A perfect spot for spot for starting your 24 hours experience in Valencia. The main train station in the city centre “Estació del Nord“ is about 10-15 minutes away by foot, while Valencia Joaquin Sorolla station for high-speed trains is outside the city centre. From Valencia Joaquin Sorolla Train Station you can either take a taxi to the old town, or a train to “Estació del Nord“. In a nutshell: A perfect and convenient hostel location to explore the old-town of Valencia in no time. Here is a handy guide to things to do in Valencia. Valencia Lounge Hostel is a small, intimate boutique hostel. 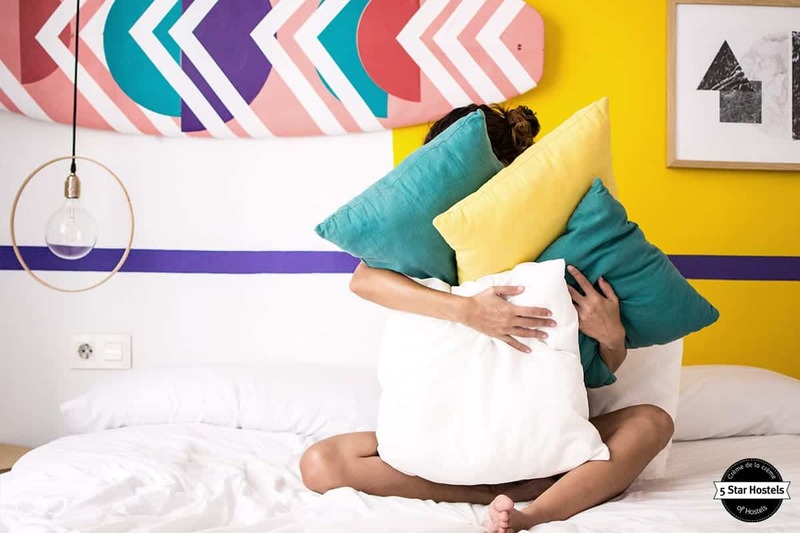 With only 11 rooms, the 5 Star Hostel caters for the millennial traveler looking for a unique, tranquil experience. It is not a real social hostel, more a hostel for couples and everyone enjoying a cool and stylish place. We compared all hostels in Valencia. Read our complete guide to the best hostels in Valencia – for all kind of travelers. 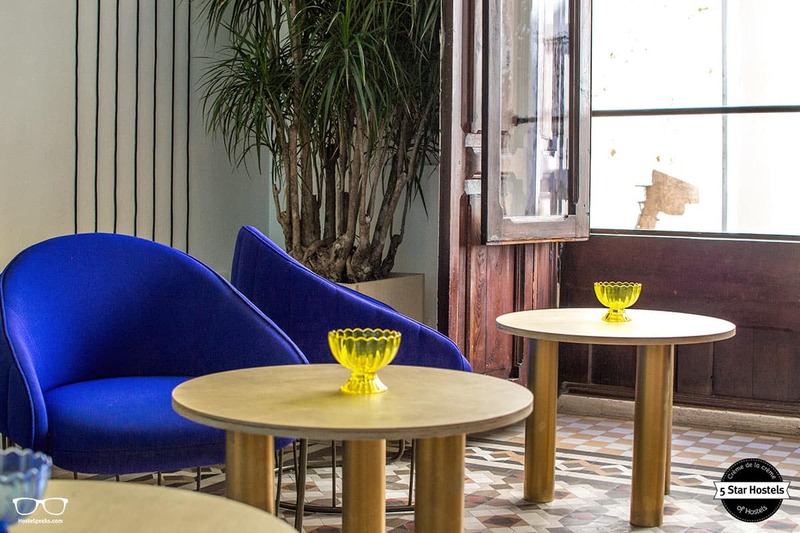 The Lounge Hostel is located right in the centre of Valencia’s old town. 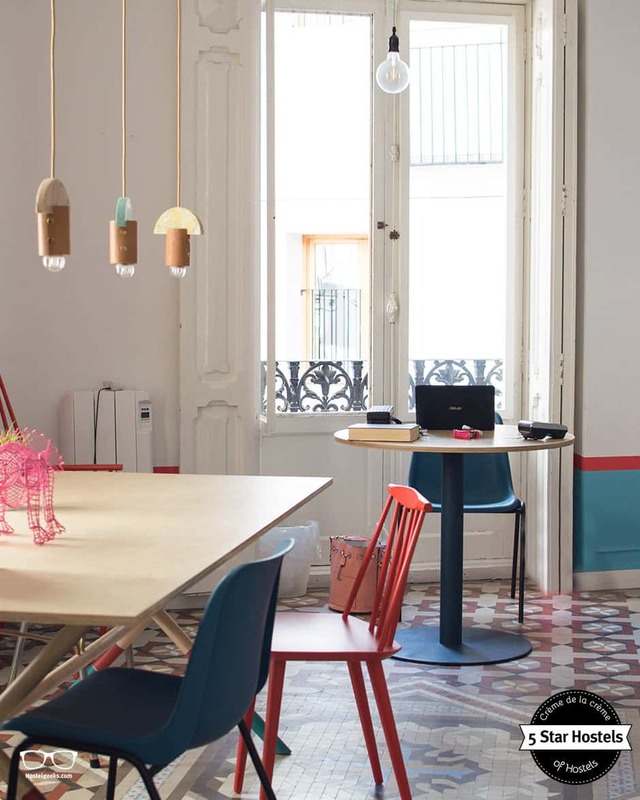 Besides this top hostel in Valencia, we wrote a huge guide for you. The guide is packed with 61 FUN things to do in Valencia. We are Hostelgeeks, your independent network of 5 Star Hostels. 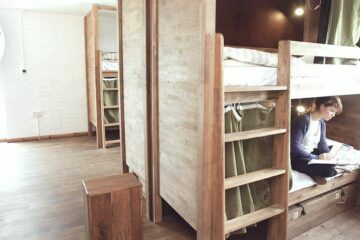 All awarded hostels fit the transparent criteria of a 5 Star Hostel, including sustainability and design. The Valencia Lounge is a very interesting concept hostel. From the beginning, its goal was to be different and to include technology in a smart way. Today they use technology to optimize the hostel experience as well as the working time of the receptionist. 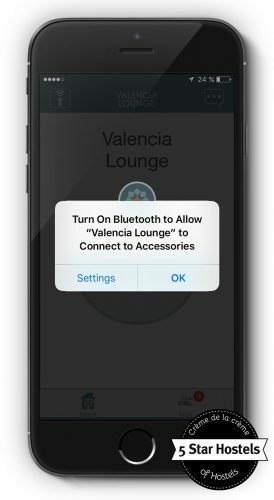 You pay before you arrive and then you receive a unique code for the Valencia Lounge App. 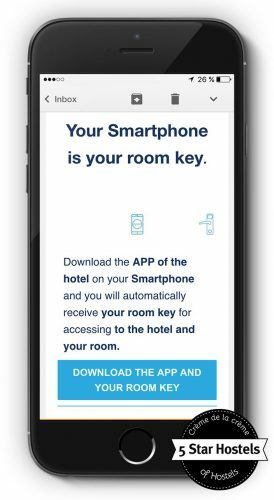 The hostel app turns your Smartphone into your key. 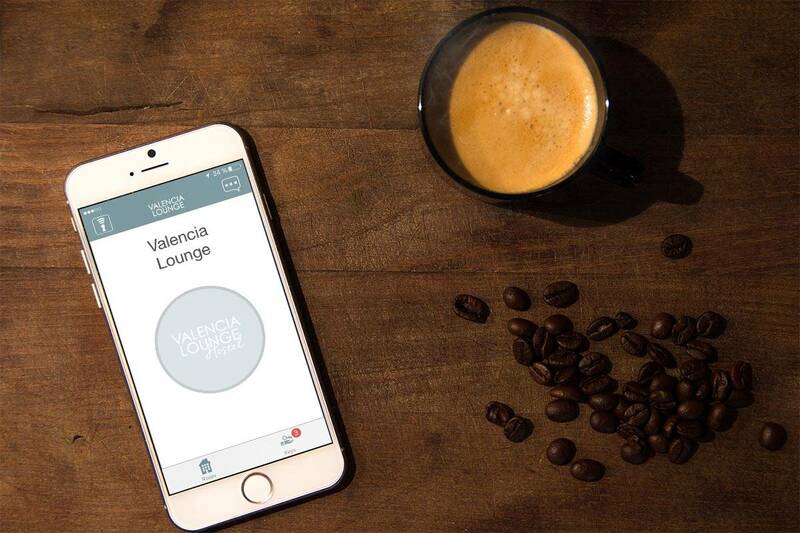 We are excited to share Valencia’s 5 Star Hostel and its new concept of hosteling, technology, and reception with you. Let’s turn on the app, open the front door, and see what’s behind this accommodation. The hostel took their green footprint as far as they could. The hostel is locally managed, and multilingual Valencianos welcome you at the reception. The building itself, located in the heart of the old town, was completely renovated. The old iron fences of the balcony were kept as well as the main antique furniture in the living room. Have a look at where the TV in the lounge is hidden, and the popular book exchange. The cabinets are antique! The architects reused as many details as possible. Another example is the heavy marble sink in the kitchen. Last but not least, we’d like to mention the bike rental service. We really enjoy exploring a city on a bike, and Valencia is a bike-friendly city. So: go for it! 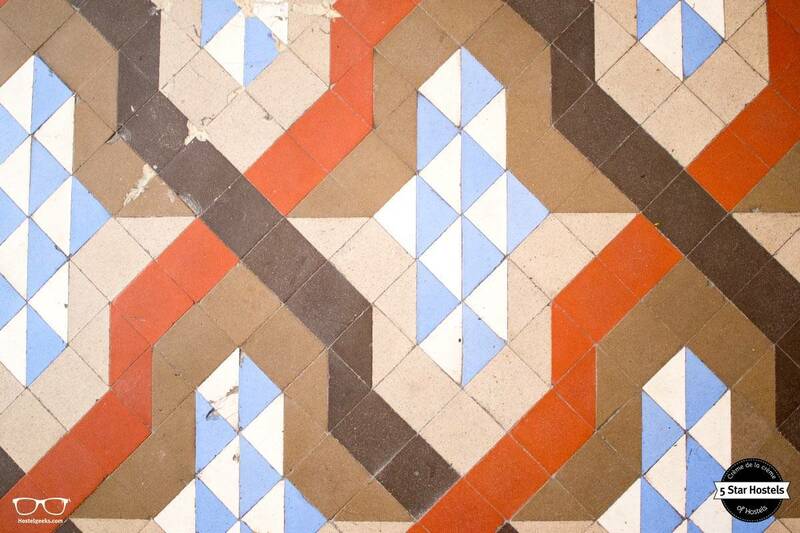 Every single room comes with different, antique floor tiles. Beautiful to admire! The design of Valencia Lounge is particular! 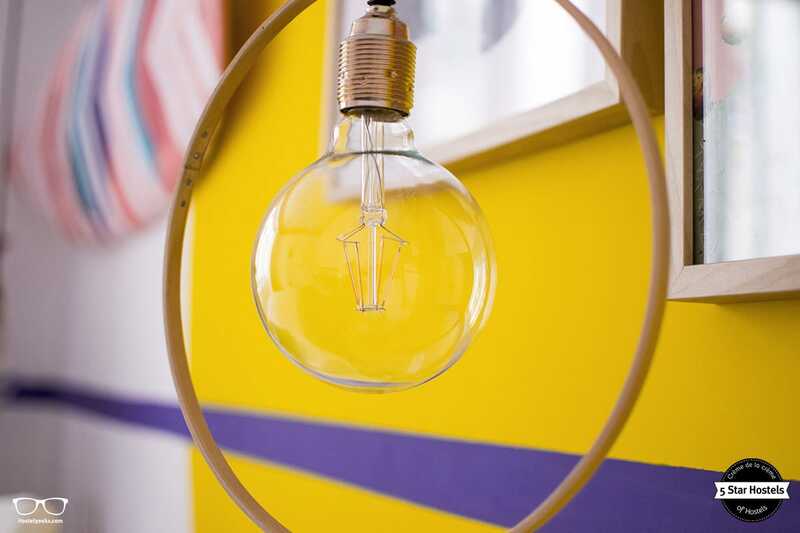 The famous, award-winning design team of masquespacio planned the hostel‘s visual image and concept. They renovated the entire accommodation, located in an old building in the historic centre. 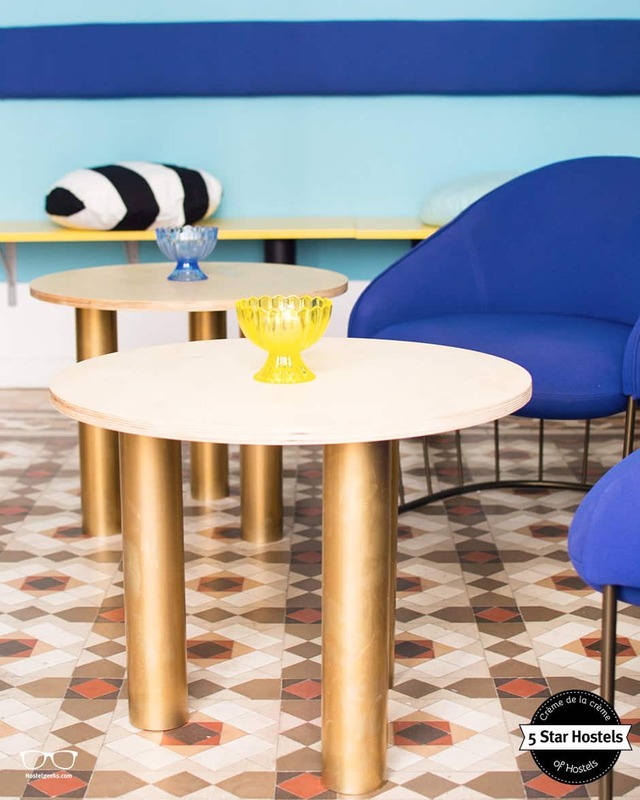 Today the Lounge is one of the most stylish hostels in Europe. You can choose from 11 neo-classical bedrooms, all distinctively designed. Every room has a private balcony and some come with ensuite facilities. 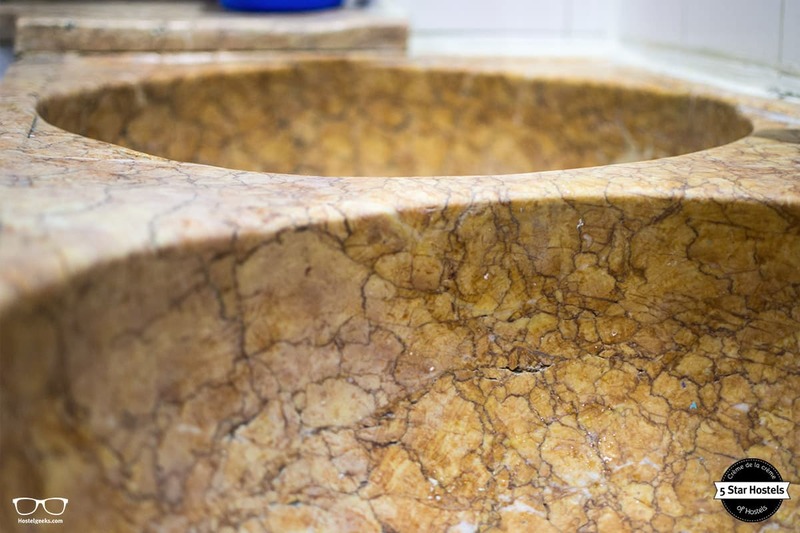 If you prefer an ensuite, keep an eye out for it when booking your stay. One of our favorite rooms is the surfing room which features a surfboard above the bed, and other colorful elements. 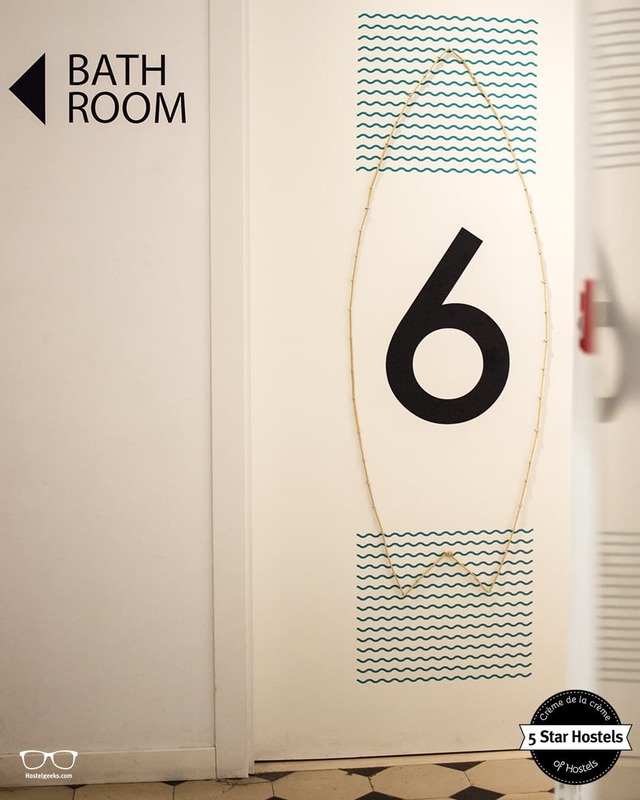 Another interesting bedroom is the #4, that has a geometrical design with florescent ropes throughout the room. 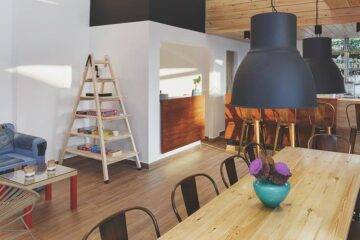 Since the latest renovation, the hostel only offers private rooms. Dorms can be found at their brother-hostel UP! Hostel Valencia. Here you can find stylish dorms with a warm, wooden design. And this is also where you can hang-out and join a fiesta. However, UP! Hostel has not a good rating at all. it is more a hostel for young travelers. We recommend to read our complete guide to best hostels in Valencia. 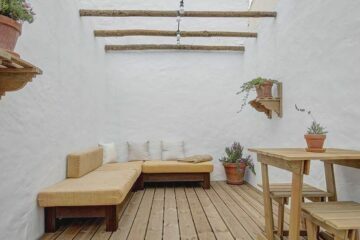 The overall coolest places to stay in Valencia is the Cantagua Hostel. Aside from the design, it is the technology which makes Valencia Lounge Hostel unique. When booking Valencia Lounge Hostel you will receive a booking confirmation including an introduction to the app. Download the app to your SmartPhone (Android or iPhone), and get started. Your SmartPhone is now your key to the hostel, and your door. 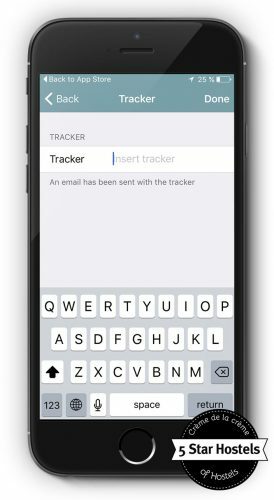 What if you do not have a SmartPhone? There is a reception and you will receive a key card when you check-in. CODE Hostel, the 5 Star Hostel in Edinburgh sends you as well your customized code with the booking confirmation to enter the hostel. There is something special about the reception: There is no desk! You won’t find the typical reception desk that you always see at entrances. Valencia Lounge Hostel took it out to remove the barrier between the guest and receptionist. The receptionist will welcome you in the living room, introduce you to the place, and answer any questions you might have. This new reception concept is game-changing and alters the guest‘s perception of the receptionist. 4. Cosy Lounge, social at Up! 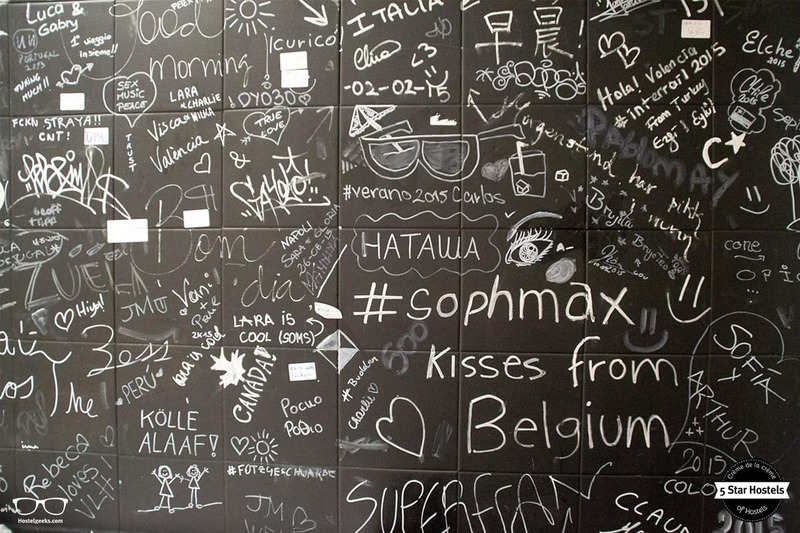 The feeling you get from the hostel is definitely one you’d get at a boutique hostel. It is cosy, intimate, homey. 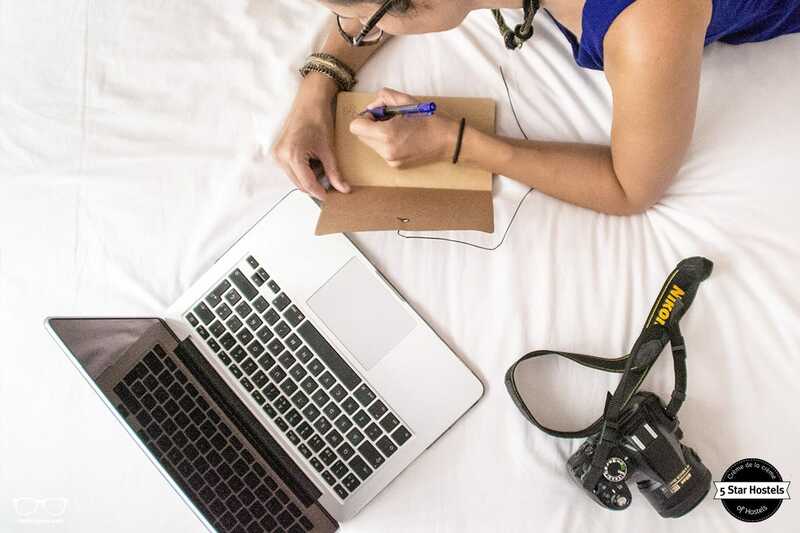 Read: Here are all 7 types of hostels. The best way to socialize at Valencia Lounge is during breakfast. The spacious kitchen is the place to meet and greet. 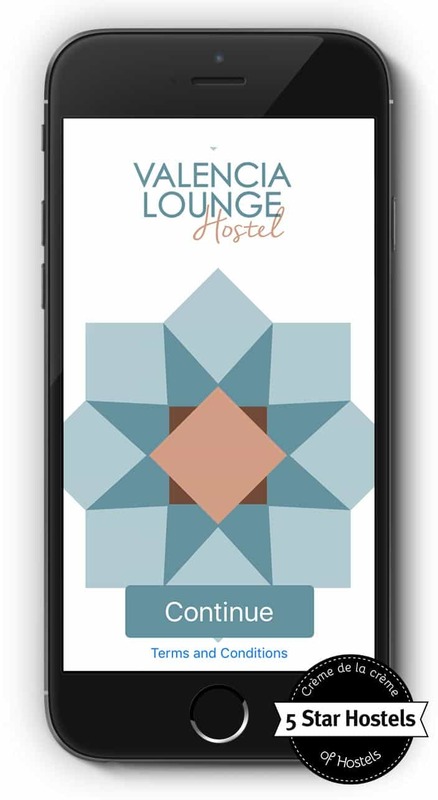 The afore-mentioned hostel app includes a chat and events function for hostel guests to get together. The bigger social aspect of hosteling happens at the bigger brother-hostel UP!Hostel. It’s located right inside the train station. 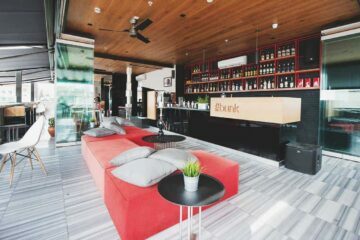 Get a drink at the in-house bar and have a seat in the huge common area of UP! There is also the pub crawl you can join to explore the nightlife. Read: complete guide to best hostels in Valencia. The innovative reception concept takes away the barrier of a desk between you and the receptionist. It made us feel like we were being welcomed by a friend rather than arriving at a paid accommodation. The payment and check-in process is already done, so you can spend the check-in time having a chat with the receptionists. The team can really focus on making you feel welcome and homely. Get your questions about the city and its hidden gems ready! The team is there for YOU only, because all the administration is done before you even enter the door. In a nutshell, the 5 Star Hostel created a game-changing concept of reception and included technology to optimize the experience. 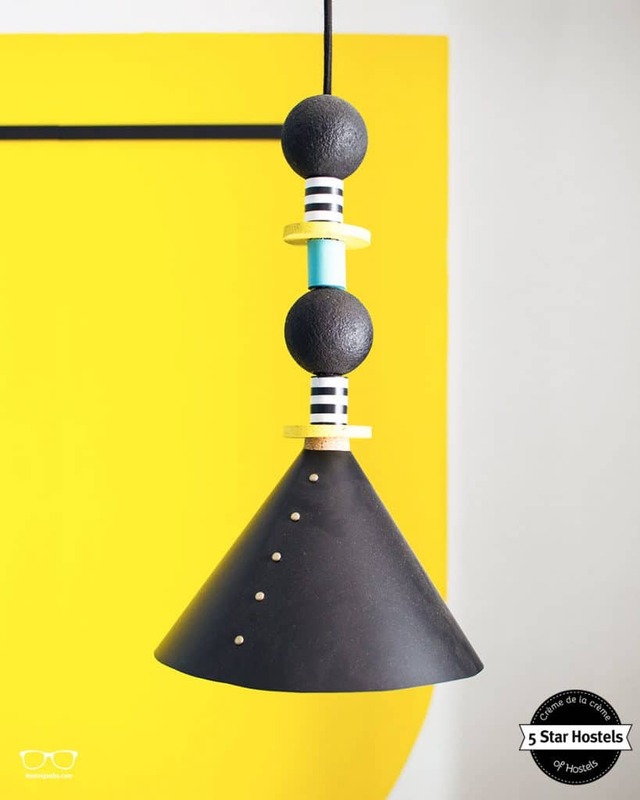 And all that, in a design-conscious, warm environment. 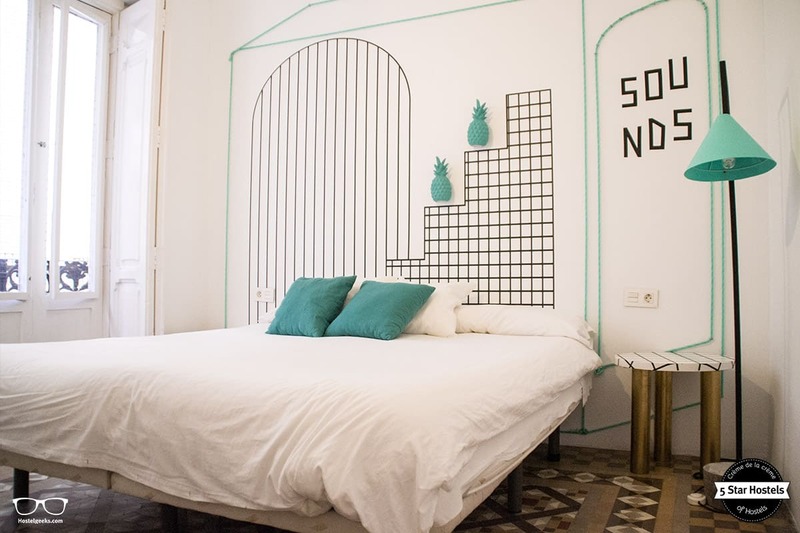 Enjoy a hassle-free, cosy stay at the best hostel in Valencia. In the city center, in a design-led environment; welcome home. You can find all 5 Star Hostels always and only with Hostelgeeks. Fancy a promo code for Valencia Lounge Hostel? Who doesn't?! Now, there is no easy way to say this: Currently we do not have a valid discount for Valencia Lounge Hostel. 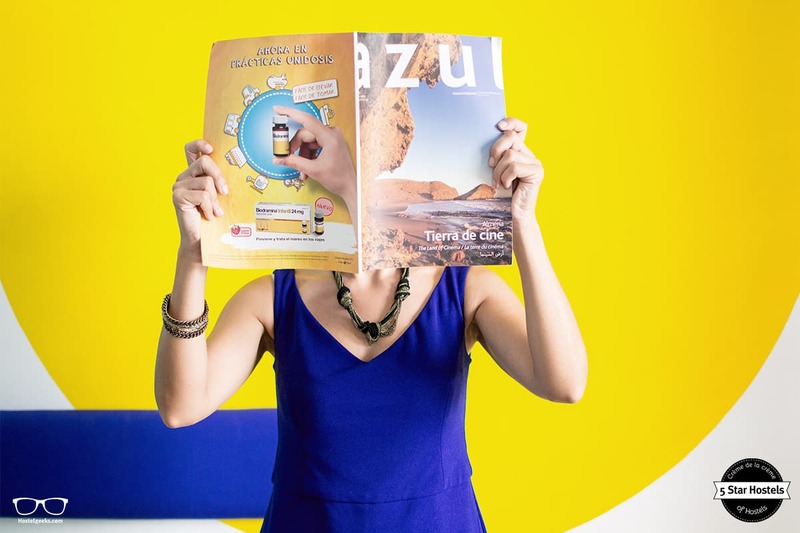 We are working on getting more promotional codes for Valencia Lounge Hostel in Valencia, Spain and all the other top hostels we reviewed for you. You were looking for the absolute BEST hostels in Valencia, Spain? You just found it! Valencia Lounge Hostel is the top place we recommend to our friends, family and to you! 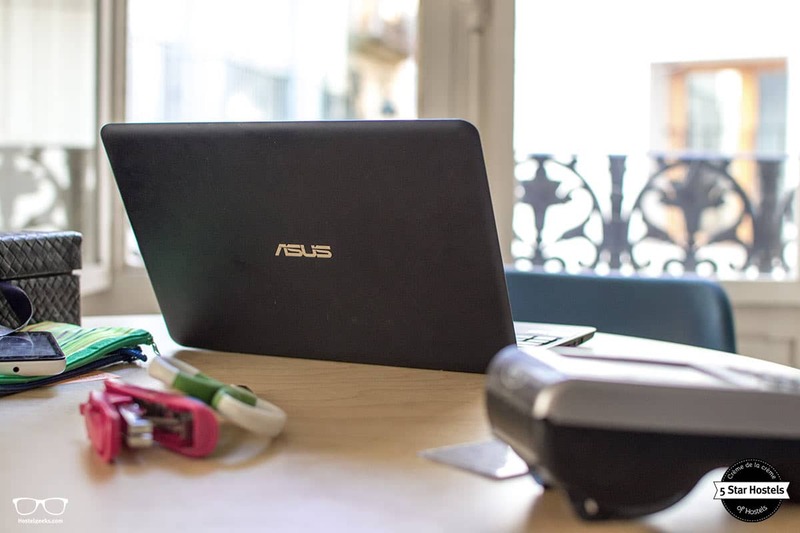 Update April, 2019: How to find flight deals to Valencia, Spain? Still looking for cheap flights to Valencia, Spain? We LOVE Kiwi.com. You can search here with a so-called "radius search". It is incredible easy to find sweet flight deals to Valencia, Spain and area.